Adapted for the stage by Leslie Bricusse and Timothy Allen McDonald , Lyrics and Music by Leslie Bricusse and Anthony Newley. Based on the book Charlie and the Chocolate Factory, by Roald Dahl. 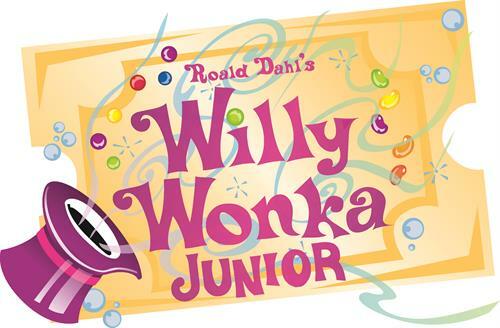 A poor boy wins the golden opportunity to tour the fantastic chocolate factory of the eccentric and mysterious Willy Wonka in this adaptation of the popular musical film starring Gene Wilder. Fridays, February 15 & 22, March 1, 2019, at 7 p.m.
Saturdays, February 16 & 23, March 2, 2019, at 1 p.m. and 4 p.m.
Sundays, February 17 & 24, March 3, 2019, at 2 p.m.
Tickets are $25 for adults, $23 for seniors, and $13 for students and youth.